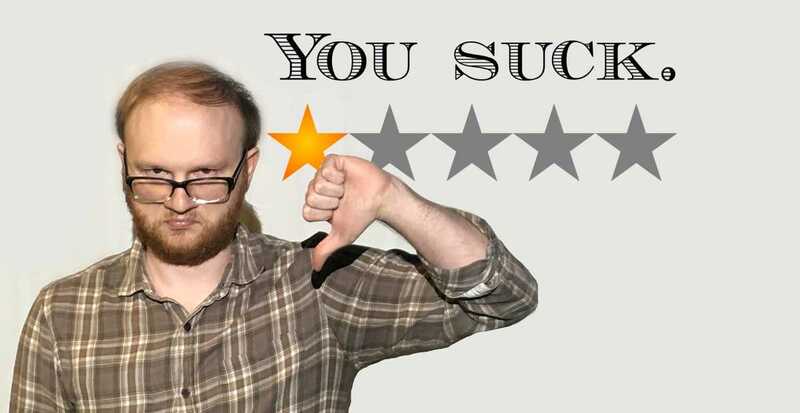 Our newest show, "1 Star Reviews - The Show", is pretty simple. 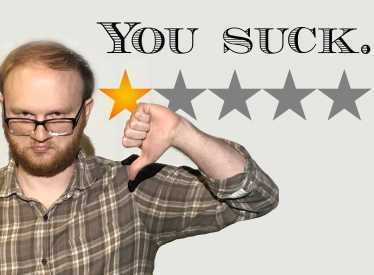 Go to your favorite review site, and find a 1 Star Review of a local Chattanooga establishment. Then, print it out, and bring it to the show with you. We'll throw it into a box, and then pick out several reviews at random. We'll read these reviews and use them as the basis for a series of scenes. Oh, and when you hand over your review at the door, you'll get 50% off your ticket for the show! Also, be sure to write your name on your printout, because at the end of the evening we'll be having a drawing for 2 free tickets to a future show! Doors open at 7:30pm and the show starts at 8pm. BYOB.